7 pieces of deep-frying wisdom. Good is one of life’s most simple pleasures. Crunchy, savory, moist are all adjectives you’re expecting to experience when biting into your fried bird. But that’s not always the case if you cook fried chicken wrong. In order to get the , we asked experts near and far for advice. Here’s what they told us. The first step is to prepare your chicken for cooking, but long before you’re actually going to be doing the cooking. 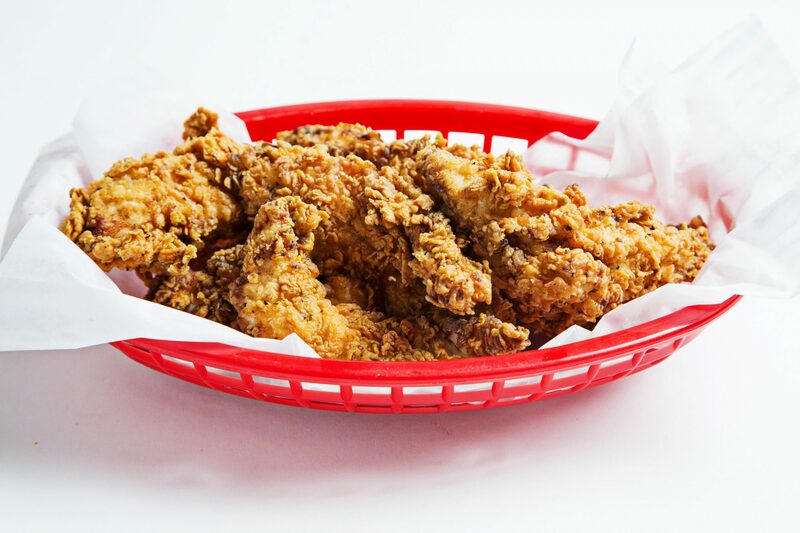 “You can’t rush making good fried chicken,” says Brian Morris, director of operations at Hattie B’s Hot Chicken in Nashville, The Cosmopolitan of Las Vegas, Memphis, Atlanta, and Birmingham. Morris says that one of the biggest mistakes you can succumb to when making fried chicken is not taking enough time to do it right, and not planning ahead. If you want to start right, “brine the chicken ahead of time,” says Matt Alba, . Give your chicken time to soak up all of the goodness. “People usually don't allow the seasoning to penetrate, which is why pre-seasoning is key,” says co-owner Yves Jadot's Aunt Betty, the inspiration for the restaurant’s chicken. Morris says that it’s not about the seasoning; rather, the brine. “You have to start with salt and a pinch of sugar. We’re talking brine!” he says. “A cold, salty brine is like a million tiny needles of flavor injection, so add your favorite spices, herbs, or sauces at will, but make sure it’s salty like seawater first.” Buttermilk is a popular option, too. "Marinating the chicken in seasoned buttermilk gives chicken a great flavor,” says Executive Chef Jonah Resnick. “I like to add a little pickle juice to the seasoned buttermilk, too. Letting the chicken marinate for at least twelve hours is a must.” That pickle juice is helpful not only for the flavor, but the texture. “For maximum juiciness, it’s best to brine the chicken with some form of acid, like buttermilk or pickle juice, to help tenderize the meat, and of course salt for flavor,” says Chef Chris Kujala. The right breading is integral to your fried chicken. “It’s really important to use a starch in the breading to help get it really crispy,” says Kujala. “I’m a fan of cornstarch, arrowroot, or tapioca. It’s always important to add salt and pepper to the breading, and I like to throw in a little cayenne for heat, too.” That starch is going to ensure a crispy crust, which is most of what you love about fried chicken. Anthony Stagnaro of 189 by Dominique Ansel is also a fan of cornstarch for breading. “It helps the outside crust brown and crisp up evenly while keeping all the juices inside and the chicken tender and moist,” he says. You don’t have to overthink it. "Self-rising flour, cornstarch, salt. Simple,” Morris says. Most of our experts echoed this advice: do not cook too much chicken at once. “One of the biggest mistakes people make is that they overcrowd the oil with too much chicken,” Kujala says. “It’s also really important to keep the oil clean and hot enough.” The problem with crowded chicken comes down to temperature and consistency. “If you crowd the pot or fryer too much, it will prevent the chicken from cooking evenly and it will also drastically drop the temperature of the oil too,” Stagnaro says. Once your chicken is cooked, let it rest on a tray with a rack. “This prevents the chicken from steaming and allows it to stay crispier for a longer period of time,” Alba says. Morris suggests letting the chicken air dry, or plated and covered in the fridge overnight. Then in the morning, enjoy the fruits of your labor. “Bask in the glory! You did it! Wake up feeling like the champion you are for putting in the work,” Morris says.